Conflict and persecution have left more than sixty-five million people displaced in recent years, signaling a worrying trend, says David Miliband, president and CEO of the International Rescue Committee, a U.S.-based humanitarian organization. Miliband, the author of the new book Rescue: Refugees and the Political Crisis of Our Time, says that mass displacement, which continued through 2017, requires commitments not only from governments but also the private sector, civil society, and the international financial organizations to meet immediate needs and provide economic opportunity and education for refugee communities. “Although political crisis causes humanitarian crisis, untended humanitarian crisis can also lead to political instability,” he says. We’ve now seen several straight years of massive refugee displacement. What has been notable in 2017? What are the biggest areas of concern? Twenty seventeen has seen three things that are really important. 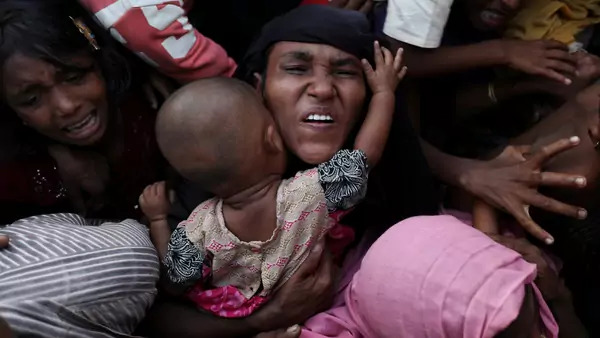 One is the world’s fastest-ever displacement of people since the Rwandan genocide: the exodus from Myanmar into Bangladesh of the Rohingya minority Muslim population. It shows that it’s not only the Middle East that is subject to massive refugee crises. Second is the combination of war and famine in Somalia, South Sudan, northeast Nigeria, and Yemen. 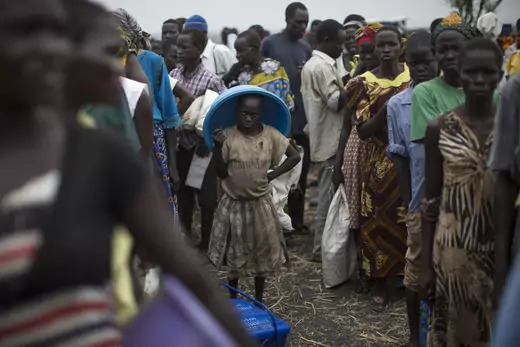 These four areas of famine and famine threat declared by the UN plumb new depths, because these instances are caused by [war], and, in some cases, [famine is] being used as a weapon. In Yemen, where 90 percent of the country’s food is imported, both the Houthis and the Saudi-led coalition are restricting access to food and other humanitarian aid in an attempt to weaken opposing forces and civilian populations. The nexus between conflict and food insecurity has become very clear. Less than 1 percent of the world’s refugees went home last year. The third factor is the dulling sense that the war in Syria and the displacement associated with it have become background music to global politics, certainly in the West. It was striking that at the UN General Assembly in September there were no all-night sessions to try to resolve the Syria crisis, or the Yemen crisis or South Sudan crisis, for that matter. There is a crisis of diplomacy, and the retreat of the West is very much part of that, led by the United States and the United Kingdom. The normalization of record levels of refugee displacement is a worrying long-term trend. In your book, you point to misconceptions about refugees’ circumstances. What should people know about refugee communities? There are some big myths. Myth number one is that most refugees are in rich countries, whereas, in fact, the top ten refugee-hosting countries account for 2.5 percent of global income. Number two is that refugees are in camps, while more than 60 percent of refugees live in urban areas. They’re in Istanbul and Beirut, not camps. Myth number three is that refugees go home. Less than 1 percent of the world’s refugees went home last year. The average refugee displacement is ten years. The legal definition of “refugee” concerns displacement caused by war and conflict. Are we starting to see climate and dire economic circumstances play more of a role? Climate is certainly a pressure multiplier, and resource stress contributes to conflict and displacement. A refugee is someone who cannot safely go home, and the definition of a “climate refugee” doesn’t quite fit that. It is right to see climate change and resource stress as factors that are driving conflict rather than a direct cause of refugee flows. In the future we are likely to see more pressure from climate change, and that’s one reason that I emphasize that the current refugee crisis is a trend and not a blip. The weakness of the global system, the tumult within the Muslim-majority world, the weaknesses in fragile states aligned with resource stress makes me think that the forced exodus of people is a long-term trend. And it remains different from the 250 million people or so who are economic migrants around the world. There are some gray areas, but the distinction between forced and voluntary migration is worth keeping. Who should take the lead in addressing the gap between the needs and available support for refugee programs? Those with the greatest resources exercise the greatest responsibility. At the moment, there is a vacuum of leadership on the refugee question. Some countries are notably grappling with this: Uganda, Jordan, Lebanon, Kenya, Germany, Sweden, and Canada. At the moment, there is a vacuum of leadership on the refugee question. But in the main, the wealthiest countries in the world, led by the United States, are turning their backs on the problem, and that is very dangerous. The domino effect of the U.S. retreat from humanitarian leadership in terms of international aid—the absence of any notion in Secretary [of State Rex] Tillerson’s vision that aid is one of the key tools in diplomacy—and the president’s determination to slash the numbers of refugees coming into the United States [is] striking. It has a negative impact on U.S. interests, but other countries also mimic some of the postures that are being struck by U.S. leaders. What would you say if you were a politician running for office now in a country facing surging refugee flows? First, we must recognize that you don’t have to be xenophobic to want refugee flows to be appropriately managed. The concern that voters have with good management of borders, appropriate security vetting, careful balancing of responsibilities is appropriate and reasonable. The second thing is to explain that we face a choice in a connected world between unregulated, undermanaged, often illegal flows of people and regulated, managed flows of people. We cannot enjoy the benefits of greater connectivity while trying to build high border walls to keep the effects of that connectivity out. The truth about the modern world is that if you don’t go to problems, problems will come to you. 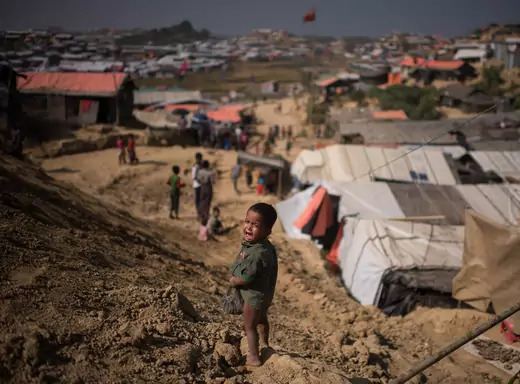 One of my big learnings is that although political crisis causes humanitarian crisis, untended humanitarian crisis can also leads to political instability. In summary, we should make an argument to people’s heads and interests, as well as to people’s hearts and morality. What are the economic consequences for host countries of major influxes of refugees? We need a new global arrangement because countries like Jordan, Uganda, or Greece are bearing an unbearable and an outsized share of the global load. Jordan’s debt-to-GDP ratio has gone up to 90 percent. It’s hosting between six hundred thousand and one million refugees. There needs to be a new macroeconomic bargain for [host] countries in which the government allows refugees to work legally, but in turn the World Bank, the International Monetary Fund, and [other international financial organizations] give them the proper financial support so that their own populations do not bear the whole burden. Are there countries that have set a good model for integrating refugee communities? The openness of Jordanians, Lebanese, Kenyans, Ugandans, and Turks has been remarkable in the last decade. Uganda is actually the best example of how integrating refugees into the economy [PDF] can decrease reliance on aid and increase the contribution of refugees to society. On a smaller scale, we know from a suppressed U.S. government report that refugees are net contributors to the U.S. economy in taxes and other contributions, not net drains on the budget. What roles exist for local communities and the private sector? If this refugee challenge gets left to governments it won’t be solved. Governments are vital, but the private sector and civil society have an absolutely critical role to play. The private sector needs to do its primary job, which is to hire people. Refugees become great workers. Companies like Starbucks have made global commitments to hire refugees. Companies can also think about corporate social results, and not just corporate responsibility, in the way that they define their own bottom line. If this refugee challenge gets left to governments it won’t be solved. When it comes to civil society, there are very direct ways for communities to be major players in the successful integration of refugees in a society. Countries like Canada and now the UK have community sponsorship programs that give an active role to civil society, in close partnership with government, to integrate refugees into the community. Governments can lead, but they can’t do it on their own. People often think about humanitarian aid with a short-term focus. What are your recommendations to reassess the way refugee services are provided longer term? 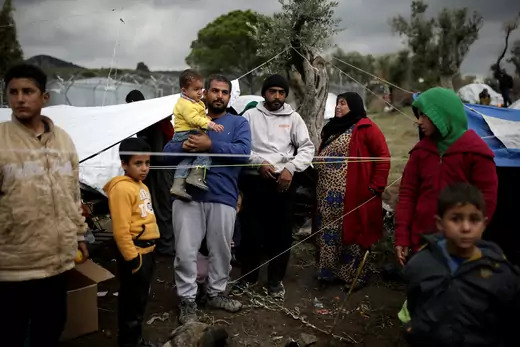 Twenty eighteen is meant to be the year for a new UN compact on refugees. The agenda for the year has got to be reform of the humanitarian aid system so that we end the fiction that humanitarian emergencies are short-term. We cannot fight long-term problems of displacement with short-term grants. The cases of temporary refugee camps that are still there twenty-five years later—or in the case of Palestinians in Lebanon, seventy years later—show the danger of short-term thinking. Long-term thinking means thinking about the grand bargain on refugee employment; nailing the tragedy that only 2 percent of the humanitarian budget goes to education, even though half of the world’s refugees are children; making cash distribution a much bigger part of the humanitarian aid system to empower refugees and support host communities; and getting the Western world to wake up to the fact that cutting refugee resettlement numbers is no solution at all.